Your child probably enjoys some kinds of fruit - however, many kids often get stuck in a "favorite fruit only" rut requesting apples, bananas, or strawberries for example and turning their noses up at the unknown. But a walk through your local farmers market will prove that summertime offers up a wide variety of colorful, different, and even exotic kinds of fruits, making the season the perfect time to experiment and add more of them to your child's diet. A great way to introduce new fruits is by presenting them to your child in a fun and exciting way. If your child isn't a huge fan of certain types of fruits, finding ways to sneak them in is essential for assuring that your child is getting the vitamins and nutrients necessary for optimum health. Read on to learn my six favorite way to make fruit even more fun this summer. It’s amazing, but food items on a stick are often extra enticing to children. So a great way to get kids to experiment with new fruits is by putting them on a stick. Cut up several different types of fruit – watermelon, cantaloupe, honeydew, strawberries, pineapples, etc. – into small cubes or balls and add them to a skewer. Your children will automatically feel compelled to pull the pieces of fruit off of the skewers and try new things. It is also a lot of fun to let your child help to skewer the fruits – getting them involved in the process in the kitchen. These are perfect for taking to the park or venturing our to your own backyard. The perfect way to add fruits that your child isn’t crazy about, is by adding them to a smoothie. Once all of the vegetable and fruit ingredients are blended together into a creamy, delicious, cool concoction, your child won’t even notice that inside lurks the fruit that they think they dislike. 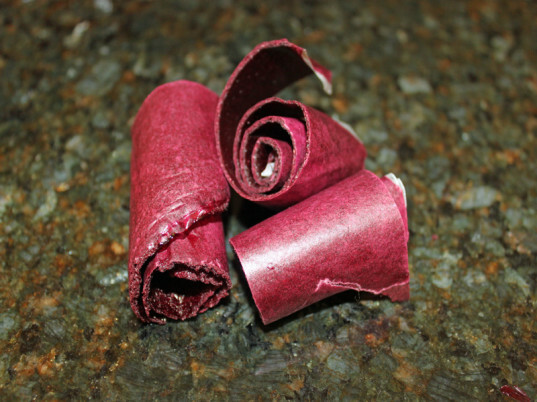 Children love fruit roll-ups and these snacks are a great way to add a variety of different fruits to one familiar goody. Some combinations that are huge hits at our house are strawberry-raspberry-blueberry and pineapple-guava-mango-passion fruit. You can use any combination of fruits and this fruit snack is easy to tote around with you wherever you go this summer. What child doesn’t like a frozen pop on a hot summer day? You can make your own easy frozen pops using only whole fruit ingredients. Since fruit is naturally sweet, there is no need for added sugars or anything artificial. The best parts about making your own frozen pops is that your child can help make them, they require no packaging waste and they are packed with good vitamins. 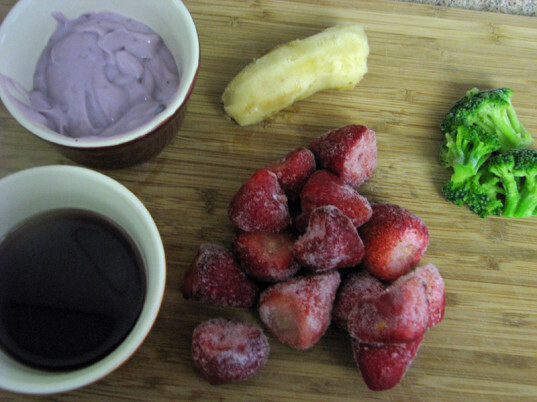 A quick way to make fruit more fun is by dipping it in a yummy organic yogurt, fondue style. Simply fill a bowl with your child’s favorite organic yogurt, hand them a wooden skewer or chopstick and allow them to enjoy their own summer fruit fondue party. A great way to get children more involved with the foods they eat is by taking them to the source. 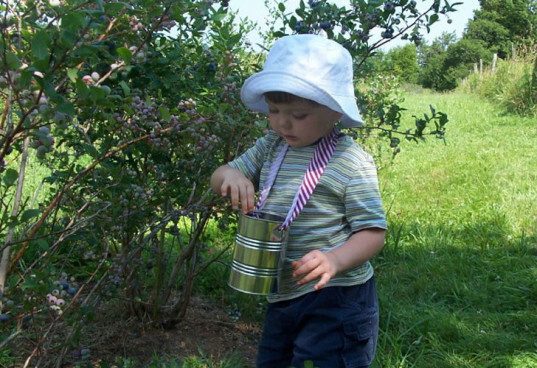 Children will love a trip to the local apple orchard, orange grove or strawberry patch. Pack up all of the essentials that you will need for a fruit trip including a bucket to collect the fruit in, a cloth to dry the fruit (once you have washed it), a picnic blanket, napkins and your camera. 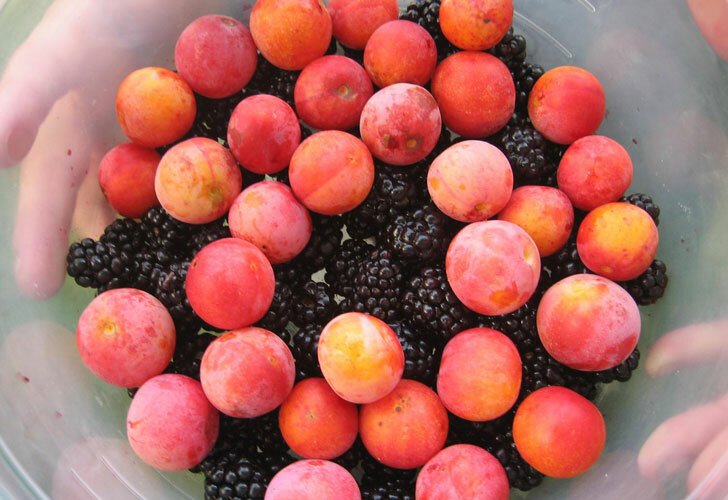 Children will enjoy fruit that they picked so much more than any fruit that they will find in the refrigerator drawer. How do you get your children more excited about trying new fruits? It's amazing, but food items on a stick are often extra enticing to children. So a great way to get kids to experiment with new fruits is by putting them on a stick. Cut up several different types of fruit - watermelon, cantaloupe, honeydew, strawberries, pineapples, etc. - into small cubes or balls and add them to a skewer. 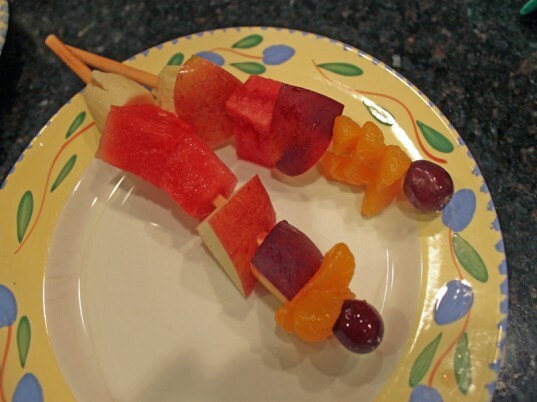 Your children will automatically feel compelled to pull the pieces of fruit off of the skewers and try new things. It is also a lot of fun to let your child help to skewer the fruits - getting them involved in the process in the kitchen. These are perfect for taking to the park or venturing our to your own backyard. The perfect way to add fruits that your child isn't crazy about, is by adding them to a smoothie. Once all of the vegetable and fruit ingredients are blended together into a creamy, delicious, cool concoction, your child won't even notice that inside lurks the fruit that they think they dislike. What child doesn't like a frozen pop on a hot summer day? You can make your own easy frozen pops using only whole fruit ingredients. Since fruit is naturally sweet, there is no need for added sugars or anything artificial. 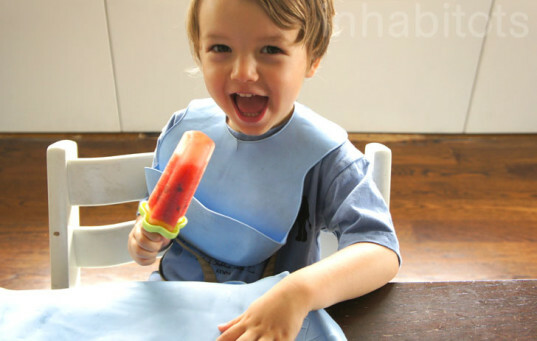 The best parts about making your own frozen pops is that your child can help make them, they require no packaging waste and they are packed with good vitamins. A quick way to make fruit more fun is by dipping it in a yummy organic yogurt, fondue style. 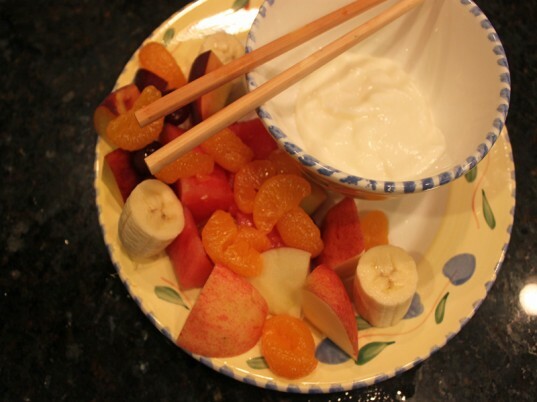 Simply fill a bowl with your child's favorite organic yogurt, hand them a wooden skewer or chopstick and allow them to enjoy their own summer fruit fondue party.